Classic hidden image book series Where’s Waldo? (known outside of North America as Where’s Wally?) may never be the same thanks to an AI-powered robot from Redpepper, a creative agency that works with major brands like Coca Cola, Colgate, Verizon and John Deere. There’s Waldo consists of a robot arm controlled by a Raspberry Pi equipped with a camera that enables facial recognition. The camera snaps a photo of a page and OpenCV is used to find and extract faces. The data is then sent to the Google Auto ML Vision service for comparison against the trained Waldo model. If a confident match of 95 percent or higher is found, the robot arm points to the suspected Waldo match. In the event of multiple matches, the arm will point to each one it has located. 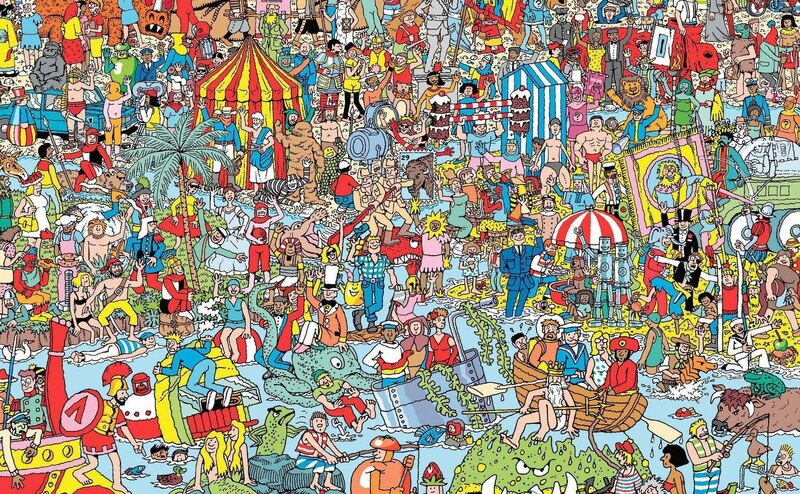 Redpepper says the fastest There’s Waldo has found a match has been 4.45 seconds. While not breathtakingly fast like those Rubik's Cube machines, it is faster than most five-year-olds, the agency notes. Matt Reed, the creative technologist at Redpepper that led the project, said more practical uses could include detecting comic book forgeries or perhaps even polling the AI to see which cartoon character it thinks you most closely resemble. The fun part will be when it gets to the land of Waldos or everyone is dressed up as Waldo. Then it will need to be able to know the special rules of finding the real Waldo. Reehahs and davislane1 like this. Reehahs, Kibaruk and stewi0001 like this. First A.I beats 5 year olds at finding Waldo. Second step is designing a robot to steal candy from a baby. Why Wally has to be called Waldo on the other side of the pond is weird, that said he's Wally in more countries than any other name so. Where's Wally it is. Marketing. 'Waldo' probably sells better based on their A/B testing. What??? I've seen plenty of people way older than 5 having trouble finding Waldo. How is this artificial intelligence? The term AI is so overused.